KATIE Brennan will once again lead the Western Bulldogs in 2018, after the leadership group was announced at the club's season launch in Albert Park on Thursday night. 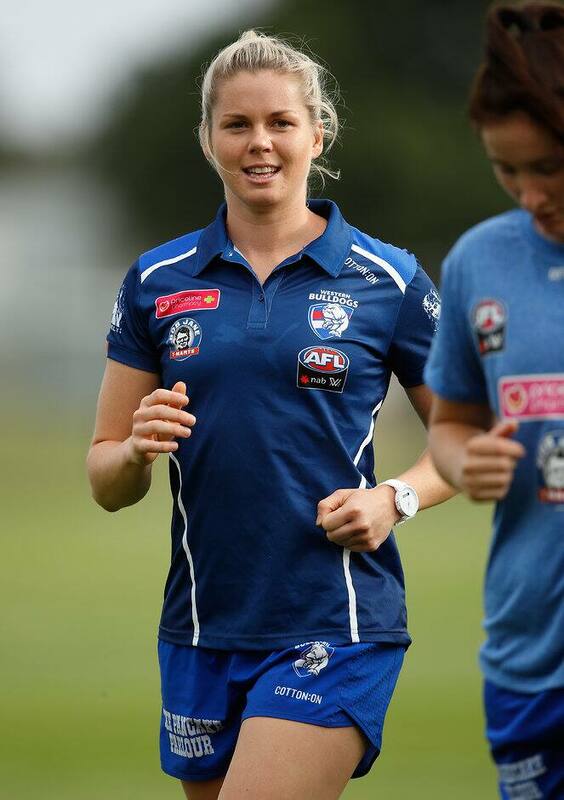 She is joined in the group by All-Australians Ellie Blackburn and Hannah Scott, as well as midfielder Nicole Callinan. In a show of faith by the club, the four made up the leadership group last season as well. Brennan missed the bulk of last season with a persistent ankle injury, managing just two games, but says she is fully fit and raring to go for the Bulldogs' round one match against Fremantle on Sunday February 4. "It's an incredible honour. I wasn't fortunate enough to take the field much with the girls last year, but I had front row seats [in the coach's box] to the incredible performances they put on," Brennan said. "[Coach Paul Groves] said recently it's similar to Christmas, but I think it's better than Christmas, the lead-up to round one." The 25-year-old had a strong VFLW season over winter, kicking 35 goals to finish as equal-leading goalkicker (along with now-Collingwood player Chloe Molloy) and League best and fairest. "I'm feeling great, awesome and excited," she said with a laugh. "It's been a great pre-season, injury free, touch wood, for the first time in a while, and I think I've done my dash [with injuries]."